In Friday’s post, we came to an important realization about the relationship between prayer and Healing and Comforting: healing comes to the sick as much as it comes through the sick. That means we should all be praying together – healthy and sick – about all that God wants us to – our illness and everything else. This realization gives special insight into the James 5:13-16 passage we discussed earlier this month. Recall that the elders—representing the church—are summoned to the home of the sick to pray. When they arrive, they are to anoint the sick person with oil. Why? Does the oil heal? There is a New Testament connection with the Old Testament anointing of oil as a setting apart of someone for God’s blessing and spirit to come. This ought to remind you of what we talked about in our first week discussion about illness and the Christian: For the Christian, one is either healed for God’s glory (i.e., to mirror the redeemed physical body to all creation as a sign of God’s intention that the physical creation be freed from sin, illness, and death) or one bears illness for God’s glory (i.e., to mirror the fellowship of his suffering to all creation—Christ’s bearing of sin, illness, and death for our redemption). Either way, there is a calling involved. And that calling is signified by the anointing with oil. Doing that when you’re sick is hard—impossible, really, by human standards. That’s why the church created hospitals and why the church sent elders to the bedsides of the sick. They prayed the hours together. 17Elijah was a man(AE) with a nature like ours, and(AF) he prayed fervently that it might not rain, and for(AG) three years and six months it did not rain on the earth. 18(AH) Then he prayed again, and heaven gave rain, and the earth bore its fruit. It might sound like Elijah prayed one time and the rain stopped and then prayed one time and it started. But if you read 1 Kings 18:41-45, you’ll see that James is commending persistence in prayer. Sum it up and say: Biblically, we don’t pray in order to be healed. 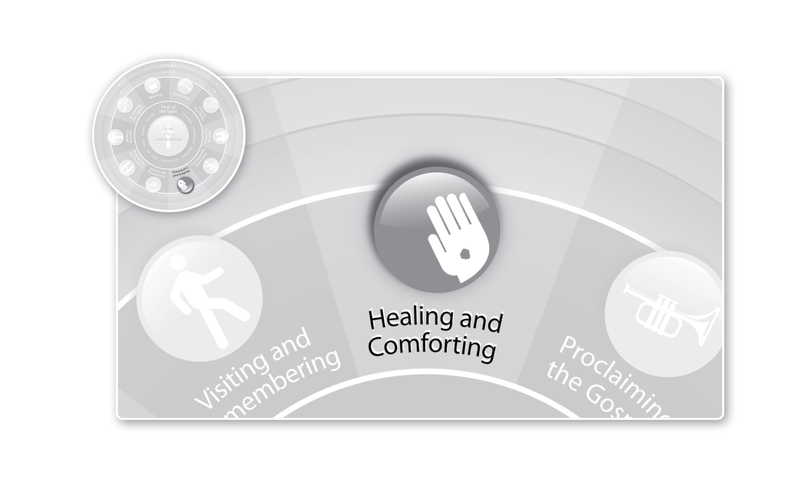 We pray because we are healed—in the most fundamental healing of all, which is salvation from sin and death. Illness threatens to derail our prayerfulness, so we treat it with special care, supporting one another by praying with—not just for—each other when one of us is sick. And we pray not only for our bodily healing, but we also pray the Psalms and Scriptures, and in this way we are healed—of our own propensity to fold in on ourselves and to live life—including the suffering of illness—separate from God: The original sin. So how do you need to change your prayers – for yourself or a loved one – in light of this? This entry was posted in Uncategorized and tagged Christianity, Fixed Prayer, Healing and Comforting, Jesus, Prayer, Whole Life Offering. Bookmark the permalink.